On 11 – 13 September ProSilva Europe celebrated its 25th anniversary in Zürich, Switzerland. The association held a field visit, an Annual Committee Meeting and an Annual General Meeting (AGM). It was shown that ProSilva forest management maintains and enhances a permanent forest asset delivering multiple benefits. Only a permanent forest managed by ProSilva principles can continuously provide timber and employment, clean water, protection from rock falls and avalanches and a place for people to relax and to be creative. Regular working allows land managers to adapt to rapidly changing factors and to stimulate dynamic conditions where forests are more adaptive, more robust and resilient to the effects of climate change. At the AGM Forêt Wallone asbl (not-for-profit organisation) of Wallonia, Belgium presented a handbook to illustrate the Department of Nature and Forests (DNF) circular no 2718 of 24.09.2013 relative to silvicultural measures to be adhered to for the practice of Pro Silva forest management. The next Annual Meeting will be held in Brno, Czech Republic in September 2015. 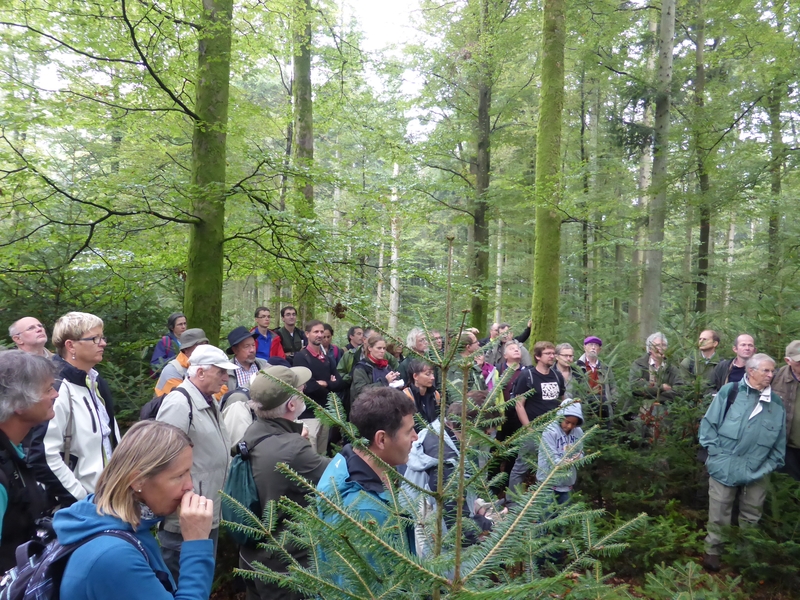 ProSilva Europe is the association of 27 national associations in Europe and the USA responsible for the promotion of close-to-nature continuous cover forest management, making a real contribution to integrating economic, environmental and social outputs from forests. Please see www.prosilvaeurope.org for more details. Thanks for representing us at the event. Wonderful to hear of a forest 400 years in community ownership and doing so well, as we have a hard time convincing African and Asian governments that community management can work!